Obesity (adiposity) is considered as the most serious public health problem of the 21st century. This disease has reached epidemic proportions and the rates are increasing globally. A clear understanding of who is at risk becoming obese and for what reasons is urgently needed. 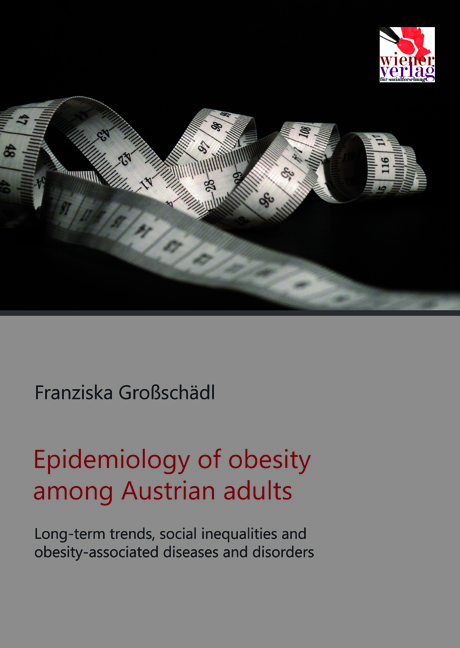 The aim of this book is to focus on the epidemiological investigation of long-term trends in the prevalence of obesity across different subgroups among adults in Austria. Furthermore, relative inequalities for obesity are presented and selected obesity-associated diseases and disorders are examined. This book gives a detailed insight on the evolution of obesity in a developed European country. Referring to the outcomes, public health implications are derived to get this problem under control. Author Franziska Großschädl (born 1984) lives and works in Graz, Austria. She received her doctor’s degree in Medical Science with specialization in epidemiology and works at the Institute for Social Medicine and Epidemiology (Medical University Graz). For several years, she conducts research in the field of obesity and successfully published scientific articles as well as presented at international conferences.